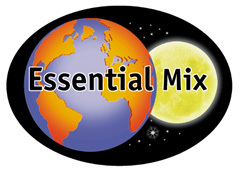 It was originally broadcast on BBC as an Essential Mix in 1994 after the Producer of the show Eddie Gordon chose Paul as the DJ to create a ground-breaking 2 hour mix, regarded now as the famous Goa Mix, a working title Eddie Gordon gave to the conceptualized show to help Paul decide a more eclectic track-listing. 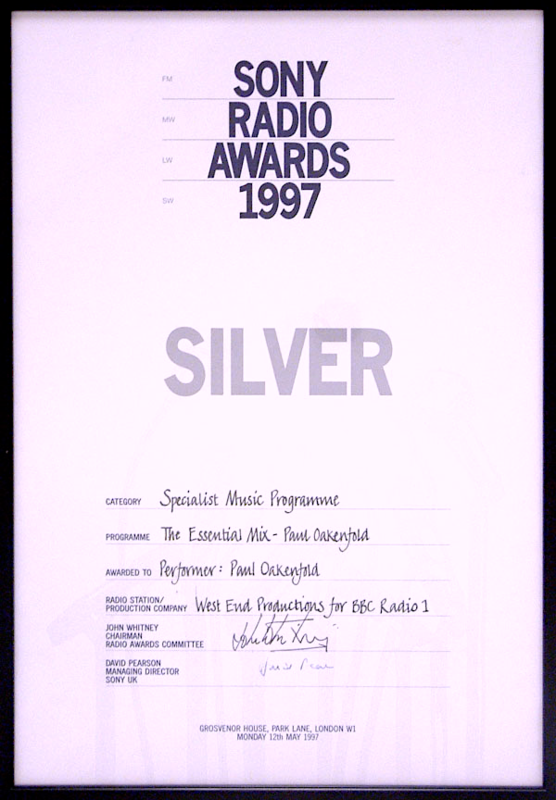 The result of the collaboration between Paul and Eddie was voted the best Essential Mix ever by the BBC Radio 1 listeners and also won a Silver Award in the Specialist Music Programme category at the 1997 Sony Radio Awards. As the most requested broadcast on BBC Radio One, the Goa Mix was pioneering. First broadcast on the early morning of December 18, 1994, the sound was predominantly influenced by the Trance parties taking place on the hippie beaches of Goa, India at that time. These Full Moon parties involved European travelers dancing to a sound distinguished by the heavy use of melodies and synthesizers in its structure. 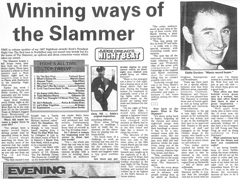 This was opposed to the bass lines and rhythms of House Music that was prevalent in UK night clubs. Goa Trance, as it was termed, also had a faster beats per minute (BPM) than other genres of dance music. The two-hour broadcast was split into two halves. These have been referred to as the Silver Mix (first hour) and Gold Mix (second hour). The Silver Mix begins with the eerie vocals of Mr. V's "Give Me Life" over the rhythm of Grace's "Skin On Skin", one of many tracks from the underground Perfecto label. From the conclusion of the frenetic, bleak piano of Virtual Symmetry's "Vaporize" onSven Väth's Eye Q label heralds the first of many soundtrack pieces - including Vangelis' "Blade Runner", an excerpt of replicantRoy Batty's lament of memories lost, "Like Tears In Rain". After Salt Tank's "Eugina", the Goa Mix shifts a gear with the classic "LSD" by Hallucinogen followed by a strings composition from the Dracula soundtrack, which segues into the Arabic tones of "Alcatraz" by Electrotete. Concluding the first hour is a trio of works from Man With No Name: "Floor Essence", his remix of Scorpio Rising's "Dubcatcher", and "Evolution". 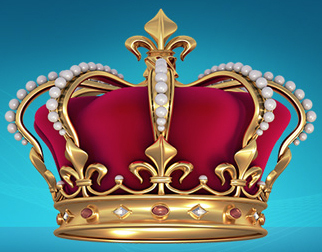 The Gold Mix begins with Metalheads' "Inner City Life", and leads the listener into a Goa trance session with The Infinity Project's "Stimuli", Marmion's seminal "Schöneberg", and a Man With No Name, "Deliverance", vocals from Lisa Gerrard in Dead Can Dance's "Sanvean" start the shows conclusion with 4 Voice's "Eternal Spirit", and finally Man With No Name's delirious "Sugar Rush". Almost a decade-and-a-half on from its creation the Goa Mix is still viewed by DJs, clubbers and general music enthusiasts as a hallmark of the genre. Paul Oakenfold has gone on to become one of the world's top DJs as well as a renowned producer. The Goa Mix set the stage for Paul Oakenfold's compilations Perfecto: Fluoro in 1996 and the following year's Global Underground 004: Oslo. By 2000, Oakenfold had moved on from the Goa sound, making way for the "Perfecto presents..." series, his work in the studio, and the scoring of movie soundtracks. Perhaps in a nod to his Goa years, the compilation, "Creamfields", includes as its first track Li Kwan's "Point Zero" - a reworking of the third track on the Goa Mix from ten years before. In 2010, Paul Oakenfold released the "Goa Mix 2011", a reworked version of the classic "Goa Mix". The mix stays almost true to the original with some tracks added by Paul Oakenfold himself. The album was released via New State Music and marked the first time the "Goa Mix was officially available in the shops. 1-05: Virtual Symmetry - The V.S.